During our visit to the UK we worked with many clients all with different disabilities. This is not a “One size fits all project”. Swim Lab with do everything possible to ensure each client receives the support and assistance required. Whilst working in the UK we met with clients consultants including physio´s, strength and conditioning trainers, school teachers, hydrotherapists and carers to name a few. This is all part of our development programme which gives every client the best opportunities available. We would like to share with you some of the amazing achievements from our week without breeching client confidentiality. These videos are provided solely for the purpose of enabling other potential clients to see the work we do in order for us to assist them in the future. Names, ages and locations are not disclosed. The purpose of this exercises is to use the core muscles to enable the legs to lift towards the surface. Once lifted the client had been working on keep the legs moving continuously in order to move forward. This then developed into a full stroke. This client is post op SDR. For more information about SDR click here. The purpose of this exercise is to enable rotation from back to front in order to breathe progressing to continue travelling forward. For previous swimmers who have attended week long training and therapy sessions here in Lanzarote, progression is also evident. 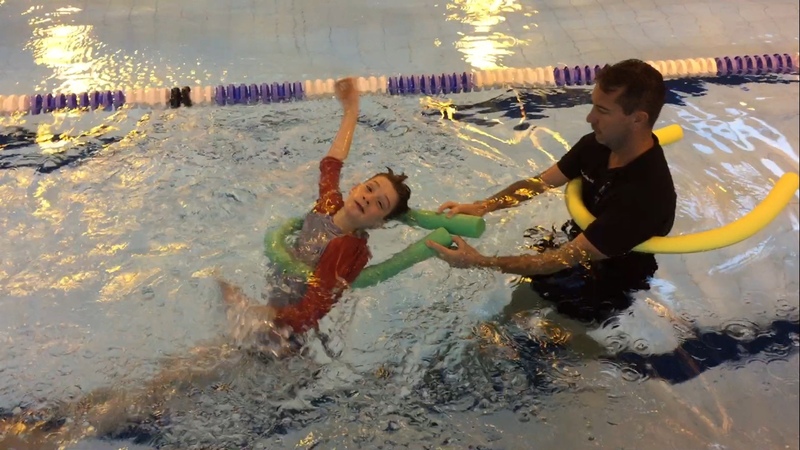 Two of our CP clients one who is now competing in competitions (learning to tumble-turn) and another who was too afraid to let go of the side of the pool now completed a 25m swim completely unaided and unassisted. Whilst every client is individual and unique we have 3 important factors in all our sessions. If you would like to get involved in one of our Disability Training weeks please get in touch and we would be happy to discuss the options available with you. Why not read about our work and why paediatric disability consulting is so rewarding. Not every client wants to be a paralympian but all clients want to be happy and enjoy being in the water. Let us help you to make this possible. Confidence, safety, excellent coaching, amazing results, friendly and informative are just a few words that spring to mind after my sons 5 sessions with Paulo. He gained so much from the time in the water and developed so quickly by day three he had begun to swim independently for short distances. Truly inspirational and not to be missed. I have to say we were a little apprehensive about the disability swimming sessions as it had been quite some time since Matilda had her last session.There was no need to be .The special rapport was there and as strong, resulting in a magnificent achievement in swimming her first ever length.